Grid of Squares Shirt, with long sleeves. 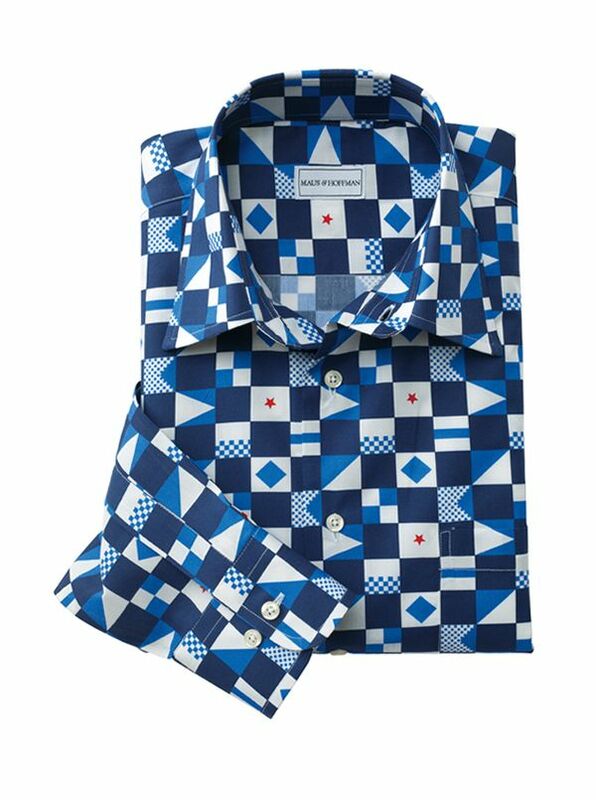 Prints of Italy, a fresh set of new designs, brilliantly conceived and printed in Italy on fine cottons, expressly for Maus & Hoffman. All are flawlessly tailored with soft point collar, single pocket, vented bottom for wear in or out.